Kavya Madhavan in Film Gadhama Gaddama is a Malayalam drama film directed by Kamal and was produced by P.V. Pradeep. 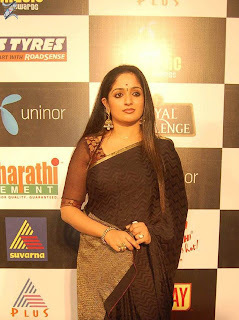 The south Indian actress Kavya Madhavan stars in the title role for the film. The film was edited by K. Rajagopal. The film mainly concentrates the life of a gulf immigrant housemaid in Saudi Arabia. The photography started in October 2010 and it was made in the Middle East. 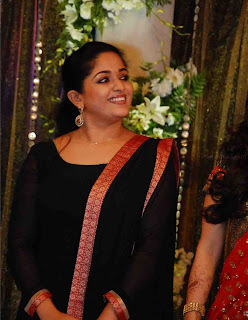 The performance of Kavya Madhavan was best rated for the film and a good credit marked in her career. The film depicts the story of a middle class malayalee woman who is basically from Pattambi, Kerala, named Aswathi (characterized by Kavya Madhavan). Her marriage was made to a person named Radhakrishnan(characterized by Biju Menon) who got killed just offering her a short period of happy life. The financial condition forced her to bear all the responsibilities of her family after husband's death. She was forced to go to Gulf. Surprises were waiting for the woman in the gulf land. She was forced to do works on behalf of slavery and become a housemaid. Most of the scenes were heart touching and silence breaking. Kavya madhavan is back in a Kamal film where she plays the title role, Gaddhama Gaddama means house maid. Gaddama is a story of an Indian born Aswathi who is born to a middle class Hindu family and is in love with Radhakrishnan. They eventually get married and start a happy life. But as fate would eventually have it Radhakrishnan dies suddenly in an accident In order to support her family she decides to go for a job as a servant to an Arab family in Saudi Arabia. She discovers the various strict rules that are present in the country and the slavery commands that she has to follow Aswati faces tortures at work including sexual harassment, physical abuse etc. She befriends a maid from Indonesia who has a sexual affair with Usman. Usman is eventually caught and kicked out of the house by the Arab Usman approaches Aswathi to help him rescue the Indonesian maid from the house. Aswathi decides to help her and Usman escape from the Arab’s house. But Aswathi is caught the Arab owner after discovering that the maid is missing from the servant’s quarter. She is tortured physically by the Arab for helping them let escape Unbearable to the torture Aswati asks Usman to help her also escape. The rest of the story is on the troubles she faces after she escaped from the house. Kavya Madhavan has excelled as Gaddama’s prime character Aswathi. Gaddama was well received by the audience and the critiques for the amazing working done by the team Gaddama received many accolades and awards for the best director and best actress.